Recent studies show that about 20% of people with tattoos, experience some regret. Most of them got their tattoos when they were young (late teens or early twenties), and now their lives have changed. A new job, issues with clothes, or a significant life event like a wedding or a baby were mentioned as motivations for tattoo removal. Tattoo Removal: Get Rid of Your Unwanted Tattoo For Good. There are lots of ways to remove tattoos, each based on a different method. Once you’ve decided to remove your tattoo, for whatever reason, you need to explore which way is the most suitable for you. Take your time to learn about the options available. Probably the most common reason is the feeling that it would prevent you from being promoted in your chosen career. This is particularly relevant in the uncertain economic climate and the increasingly competitive job market. Unfortunately, there is still prejudice towards body art, and although attitudes are changing, there are companies that still look upon tattoos as less than desirable (to say the least). If your tattoo is small and hidden under clothes, then it is not a big deal, but large colorful tattoos may cause you major problems. In this case, tattoo removal is probably the answer. How To Decide On The Right Tattoo Removal Studio? Laser Tattoo Removal – Can It Work On Any Skin Color? The manual or “pre-laser” methods include dermabrasion, salabrasion (scrubbing the skin with salt) and cryosurgery. In these procedures, a specific type of gel mixed with saline is etched into the skin over the tattoo, causing the ink in the dermis to bond with (or be replaced by) the gel, and migrate to the surface of the epidermis. 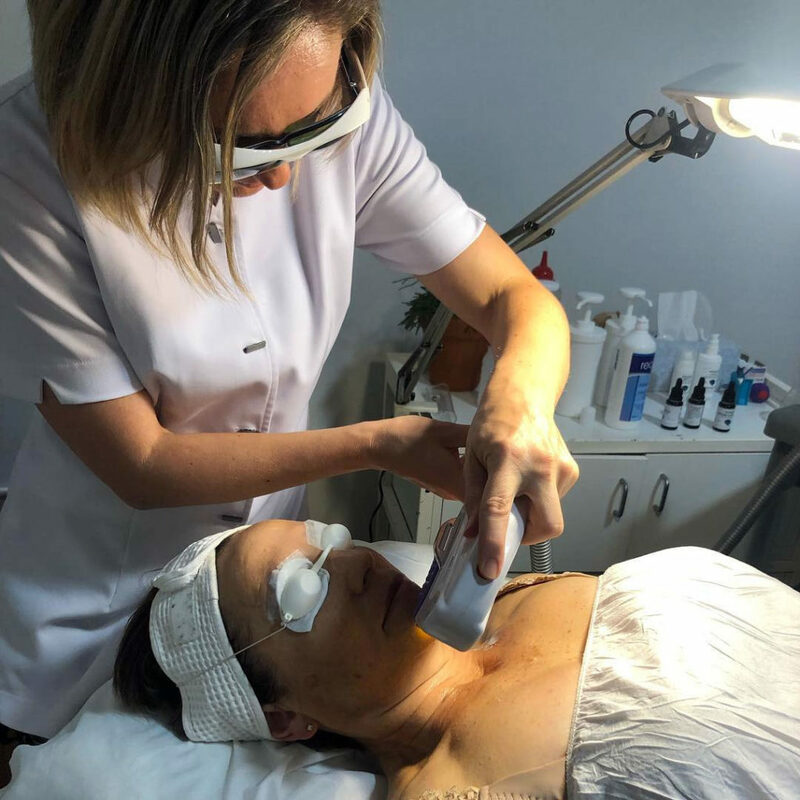 Nowadays, these methods are rarely performed since the results are quite unpredictable and side effects such as skin discoloration sometimes occur. Laser tattoo removal is considered to be the most professional and reliable method since it takes place at specialized clinics. In the beginning, tattoo removal by laser was performed with continuous-wave lasers and later with Q-switched lasers. The laser is targeting the ink with pulses of highly concentrated light that break the ink into small fragments, which are then absorbed into the body and fade away. In order to get the best results, a few treatments are required. The more treatments you have, the more the laser can penetrate to destroy the ink. However, the more treatments you have, the more damage can be caused to your skin, like painful blisters or even scars. Experts in removal therapy say that technology has advanced to the point where scarring is minimal, sometimes non-existent at all, depending on the situation. The biggest issue regarding laser removal is the cost. Depending on your tattoo, you might need between 5-10 sessions, each costing in the range of $200-$850 per session. Removing a large, colorful tattoo could cost thousands of dollars. Intensely pulsed light therapy, or IPL, is a technique generally being used in beauty clinics. Instead of laser light, it uses high-intensity light in quite the same way. After a special gel is applied to the skin, pulses of light are directed onto the skin, making the ink break and disappear. This method is considered to be less painful than laser therapy, and more effective, resulting in less total treatment sessions. Regarding costs, however, the price tag is pretty high – the cheapest clinic offers a price of $10 per pulse. Depending on how many pulses per session your tattoo requires, this could add up to a significant amount of money. 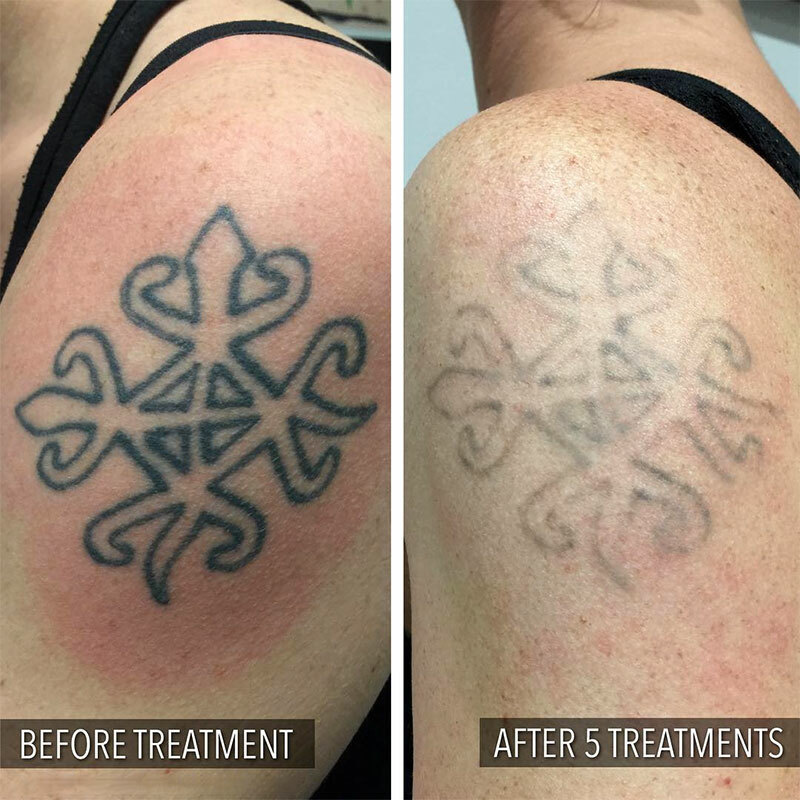 Tattoo removal creams are becoming an increasingly popular treatment versus the traditional laser option. It is not surprising, since tattoo removal creams can fade, and over time, erase unwanted tattoos for a fraction of the cost. Another reason why creams are becoming so popular, is of course, that you don’t need to set up appointments for the treatment sessions. You do it in the privacy of your home at your convenience. 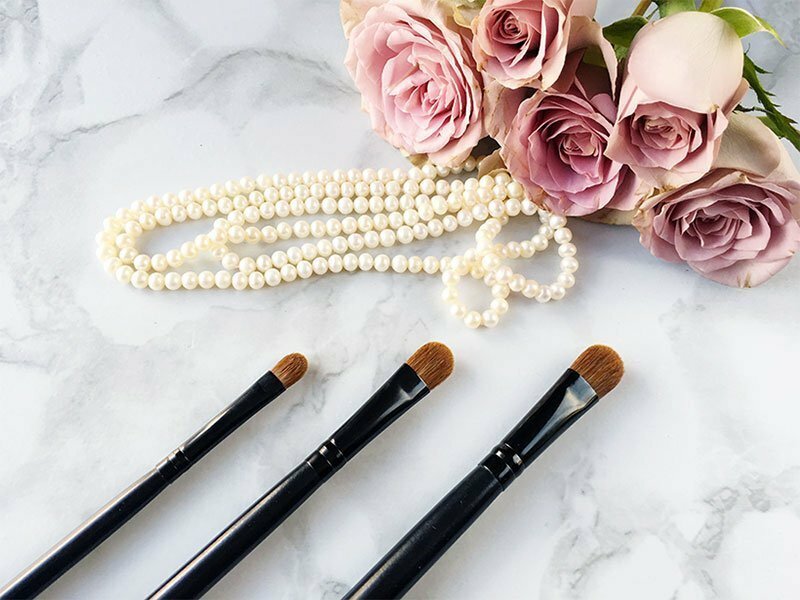 The removal creams usually work the same fashion: You apply the cream on the tattoo and using a sort of wand the cream penetrates the skin and breaks the ink pigments. The procedure takes a few minutes every day, during 6-8 weeks. Studies show significant fading of the tattoos without any pain or damage to the skin, and it is indeed a lot more affordable than laser surgery. There are basically 2 options of tattoo cover up jobs. One is having an old tattoo covered up with a new tattoo. 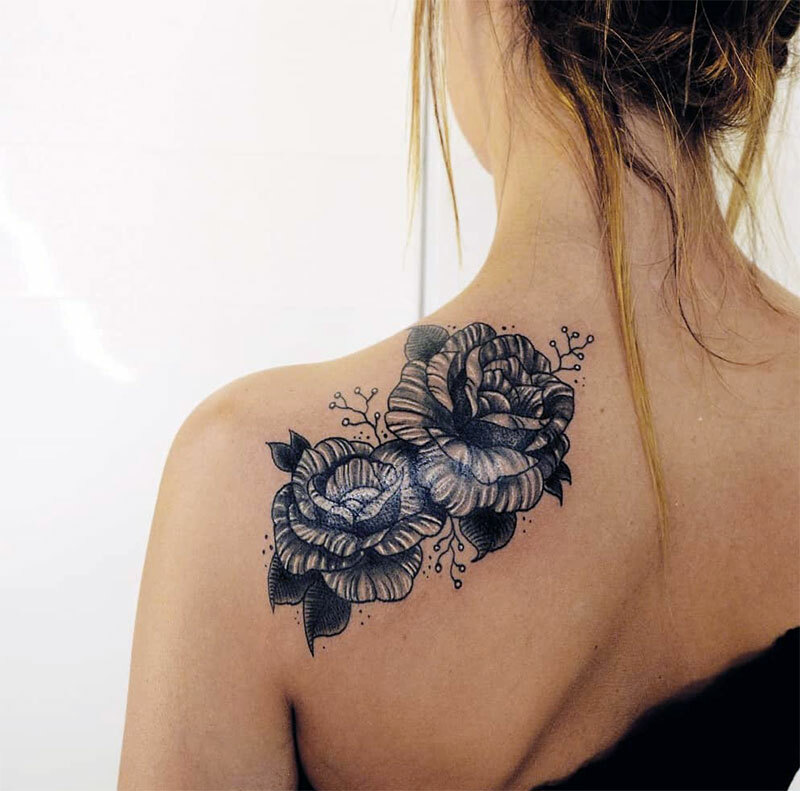 Many tattoo artists are becoming quite skilled in doing cover-up jobs, and with a talented cover-up artist, you can end up with a tattoo you’re much happier to live with. The price is usually just the price of a regular tattoo. The second cover-up option is the use of special make-up creams or patches that temporarily cover the tattoo. It can come very handy before an important job interview or a business meeting. You simply place the patch or make-up cream on the area you wish to conceal, and once you come home, easily remove it or wash it away. The amount of time required for the removal of a tattoo and the success of the removal varies with each individual. Factors influencing this include skin type, location on the body, tattoo color, amount of ink, scarring or tissue change, and layering. It also depends on which method has been chosen, and if performed professionally. Deciding you want to remove your tattoo is a big step, but also finding the right tattoo removal studio. Research is very important in this case and also going with your instincts. If a place feels right to you, and it stands a few standards, then go for it. Cleanliness and hygiene. This is the most important thing that you must check. The studio must be spotless and super clean, only to use sanitized equipment and technicians must wear disposable gloves all the time of the session. Best equipment. This is also very important – the equipment used should be in the best quality to ensure the best results. Reasonable prices. This is not a requirement, but it would certainly help if the removal studio will charge affordable prices. It doesn’t need to be the cheapest place, but also not the most expensive one. You need to consider that a laser removal will probably take a few sessions, so the price has a significance in the total count. Knowledgeable staff. Another consideration is the staff – they should really know what they’re doing. Look for credentials or recommendations and even testimonials from former satisfied customers. It’s important to know you’re in good hands. If you have an old tattoo that you don’t want to renew, but to cover it with a new one, there are a few things you need to consider first. A cover-up tattoo is completely different from a tattoo on blank skin. It’s not easy to do a cover-up tattoo, and the tattoo artist must be highly professional at this job. Unprofessional jobs will result in little hints of the old tattoo beneath the new one. This is why the new tattoo design must be at least three times the size of the old tattoo. The new tattoo should be a solid design with lots of coverage. It won’t be possible to have blank spaces in the tattoo, so you can pretty much forget about tribal designs. To cover the old tattoo well, the new tattoo will need to use plenty of black shading, especially if the old tattoo was dark. The process of choosing a cover-up design is not simple. Not every design will work, and it’s best to choose designs that have a lot of details. Design of animals that have scales or feathers are good for this purpose, so look up images of birds, dragons, fish, or biomechanical tats that have plenty of features and details. Still, not all cover-ups must be so elaborate. 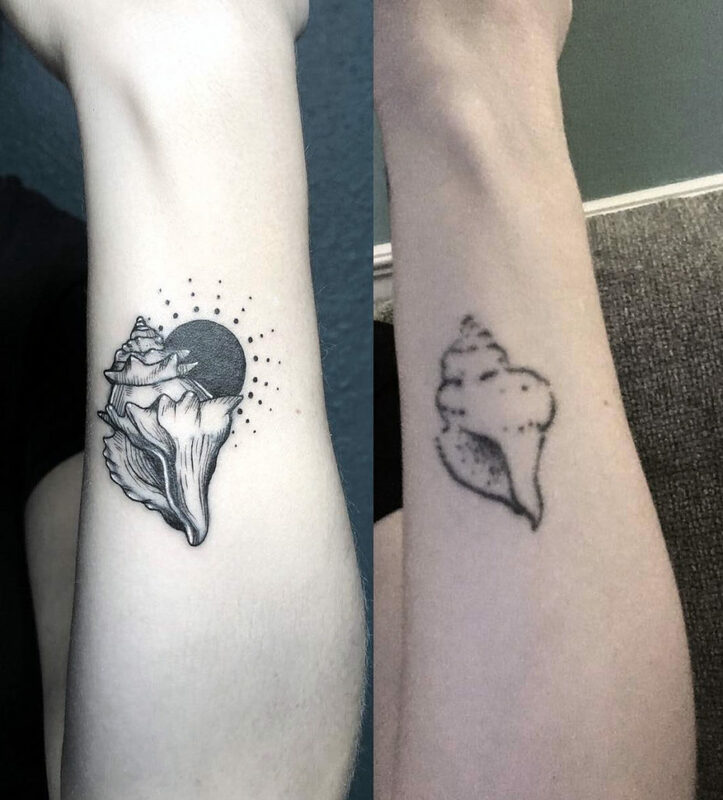 Old tattoos that have faded (usually after years in the sun), or tattoos that were ruined with scars are easier to cover. Lastly, remember that covering up your old tattoo can be quite expensive, but if you choose the right design and the right tattooist, it will be worth it. It’s not uncommon for folks to want to remove a tattoo, for various reasons. Mostly, they regret doing it at an early age, or not thinking it through (like getting a tattoo while you’re drunk – not so smart…). But whatever the reasons might be, there’s still the question of how to remove that unwanted tattoo effectively. Most people go straight to surgery and pay tons of money on laser tattoo removal. But there are other options, a lot less expensive, and not necessarily less effective. One of these options is a tattoo removal cream. The cream can be bought at tattoo studios or online – there are a lot of vendors that make these creams, and they sell it on the web. The prices are very affordable, and even if you’ll need 2-3 tubes, you probably won’t pay more than 500$. So when you compare it to laser removal that costs a few thousand, it’s definitely worth a try. Another advantage is that there are almost no side effects, as opposed to laser and other treatments. 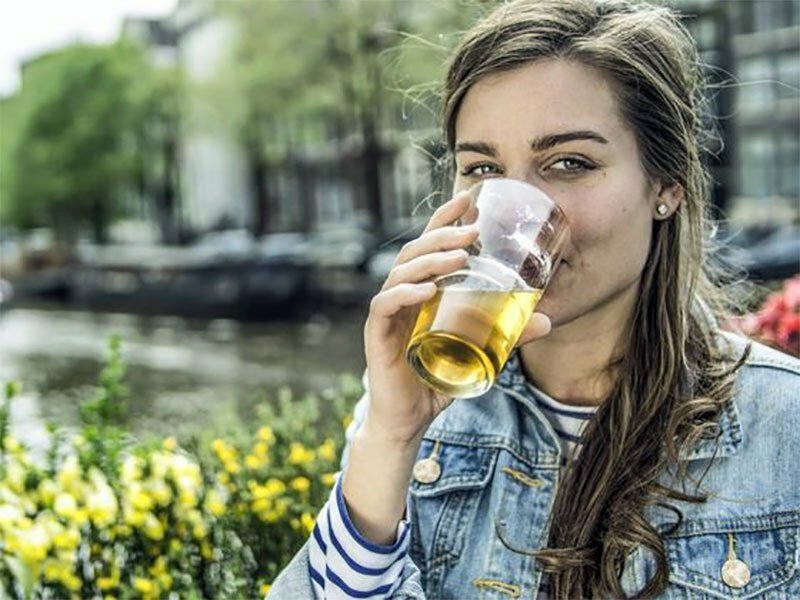 In rare cases, you could develop an allergic reaction to the cream, and often changing the brand will do. In a laser, however, there could be bigger side effects like blisters, redness, swallowing, pain, and scarring. It’s mostly recommended to start with a removal cream that will fade the tattoo, and in cases when it’s not completely removed, continue with laser treatment for 1-2 times to complete the process (and also save in expenses). 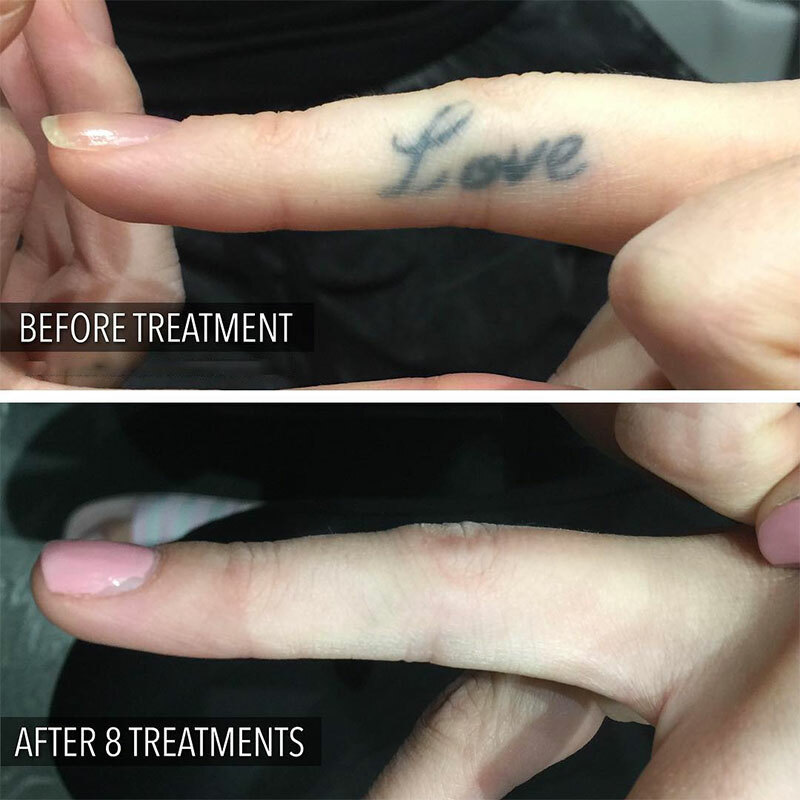 When it comes to removing a tattoo, not a lot of people know that there is importance to their skin color, as it can affect the results of the treatment and in some cases even won’t be recommended at all. So, when you consider a laser tattoo removal option, take your skin color into consideration. The color of the tattoo also matters, and the more it resembles the skin, the harder it will be to remove. This can be a case of a bright tattoo on a light skin tone or a dark tattoo on a dark skin tone. This doesn’t mean it can’t be done, only that there would be more precautions and maybe a change in the treatment sessions. For instance, you might get scheduled for more sessions, but every session will be shorter than usual. This way it reduces the chances of any damage to the skin. There is also the possibility of scarring. When removing a tattoo similar in color to the skin, it could cause keloid scars. These scars do not remain within the injury boundary line and practically go where they want. There could be cases where it won’t be possible to completely remove the tattoo if it has the same color as the skin. It could happen when the ink pigment and the skin pigment are too similar, and the laser simply can’t tell which is which, so it won’t perform perfectly. 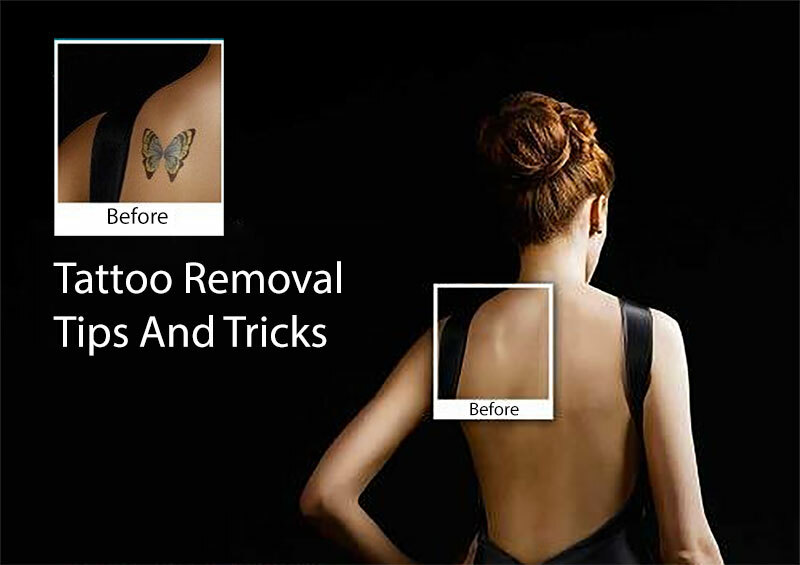 Removal tattoo is a process to help you get rid of the tattoo that you no longer want. It is usually more painful and costly than getting the tattoo. If you don’t like a tattoo any longer or need to take it off right away, then there are methods that can help you do this. However, you need to understand some facts about tattoo removal before you decide how to do it. You can decide to book an appointment with your doctor for laser or dermabrasion process. Learning more about the tattoo removal process helps you to get prepared. You need to research on the various ways available for the removal tattoo task. Some are more effective than others. You also have to understand the most suitable way to remove your tattoo. Most people prefer using the laser tattoo removal method to get rid of the tattoo. However, not all tattoos can be removed by using this method. You can choose dermabrasion because it’s cheaper. However, you must be ready to undergo a lot of pain. It also causes scarring which is most of the time unwanted. This leaves you thinking of how to get rid of the scar when the tattoo is gone, thus only bringing up more issues. You can also try excision. This involves cutting away the tattoo and then sewing the skin back. It is effective but suitable for small tattoos only. You have to consider your pain tolerance. Your budget is also essential because it will determine the process you are going to use. A big tattoo may require several treatments in order to be completely removed. If the ink is too dark, it can also be difficult to remove the tattoo. Most people with big butterfly tattoo or cross tattoo find it hard to remove it. Make sure that you choose the right method. If you go for dermabrasion, make sure you can tolerate the pain. If you quit before the tattoo removal is over, you will remain with part of the tattoo. These are important tattoo removal facts that must be considered. You can do something to make the tattoo fade before you go for the surgical tattoo removal. You can use bleaches or the sunlight to make it fade fast; it becomes easier to remove it that way. You can talk to your doctor for the most suitable way to remove your tattoo. This will ensure that you are well-enough informed to avoid any sort of infection. In the end, you need to understand that your commitment is essential. Whether you choose a nonsurgical tattoo removal or a tattoo removal cream, they all take time, especially the healing process. You must be patient and go for treatment from four and up to six weeks. The whole process, together with healing and other treatments that must be followed after the tattoo is removed can take more than six months. Getting a tattoo is very easy these days. However, the number of people opting to get their tattoos removed is so high. This is an indication that a great percentage of those who get tattooed regret it later. In fact, regrets are so common, and everyone wants their tattoo removed. The cost to remove tattoo largely depends on the method of tattoo removal used. Laser methods and dermabrasion are quite costly and painful. There are other cheaper options available today. However, they do not work overnight, and they comprise of tattoo removal creams and gels. 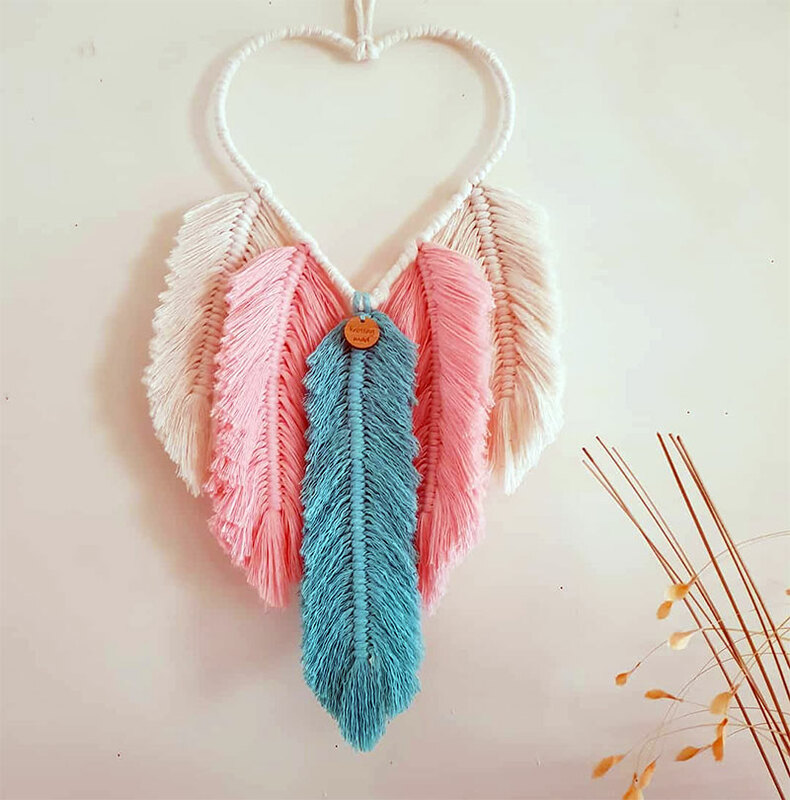 Creams and gels work after being applied for a period of about 4 to 6 months depending on one’s skin. Some skins multiply cell faster while others are slower. Tattoo fading is basically what tattoo removal creams do. They have dermabrasion tools that clear the ink slowly by slowly. The reason why fading the tattoo takes a long time usually depends on the size of the tattoo, as well as how deep it was tattooed into the skin. You have to be careful when choosing creams because the ingredients they contain may vary. There are thousands of tattoo removing creams out there but only a handful work. Therefore, it is important to consult first before you purchase any of them. Low-cost tattoo removal may also depend on the color and type of ink used. Some colors are harder to remove than others because of ink density. Black colors are easier to remove than brighter ones. These factors have to be put into consideration when assessing the overall cost of tattoo removal. The pain endured can also be a factor. It’s ironic how people can persevere for needles to be subsequently injected to their bodies, yet when it comes to removal of the tattoo, the pain suddenly becomes unbearable. The same people who pay hundreds of dollars to get the tattoo now cannot afford pay for it to be removed, simply because they have not anticipated the need for removal in the first place. There are effective tattoo removal treatments in the market today. Laser treatments cost anything between $100 and $500 for one session, which is quite costly for an average person. The cost will also vary depending on the clinic, if any anesthesia is used, and the geographical location. Home remedies for removal of tattoo are quite inexpensive. They are most recommended because they do not have any side effects. Your tattoo will fade away before you even notice. Creams vary in price depending on the types of tattoos they claim they can remove and availability of the product in the market. Visit your local physician for more details on the best tattoo removal cream for your tattoo. Your physician will obviously screen your tattoo first before he recommends to you the best option. If you’re looking into tattoo removal costs, you probably have decided you no longer want your tattoo. It could be because you’ve outgrown that stage in your life, or perhaps you keep being passed over for good jobs because of your tattoo. 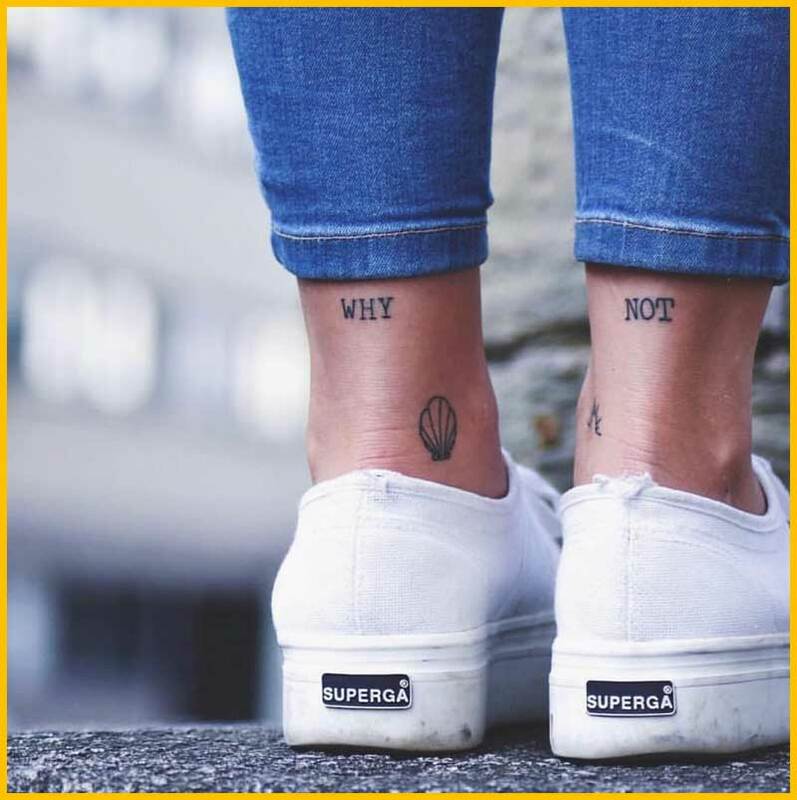 Whatever the reason is, you don’t have to stay with your unwanted tattoo forever, because there are quite effective ways to remove tattoos; the difference, however, is in the price. Some factors will determine exactly how much it will cost to remove a tattoo. The color, size, and complexity of the tattoo must be taken into consideration. The price also varies from one method to another so it may be a good idea to explore and get some estimates. The laser is probably the most popular removal option but is also the most expensive one. 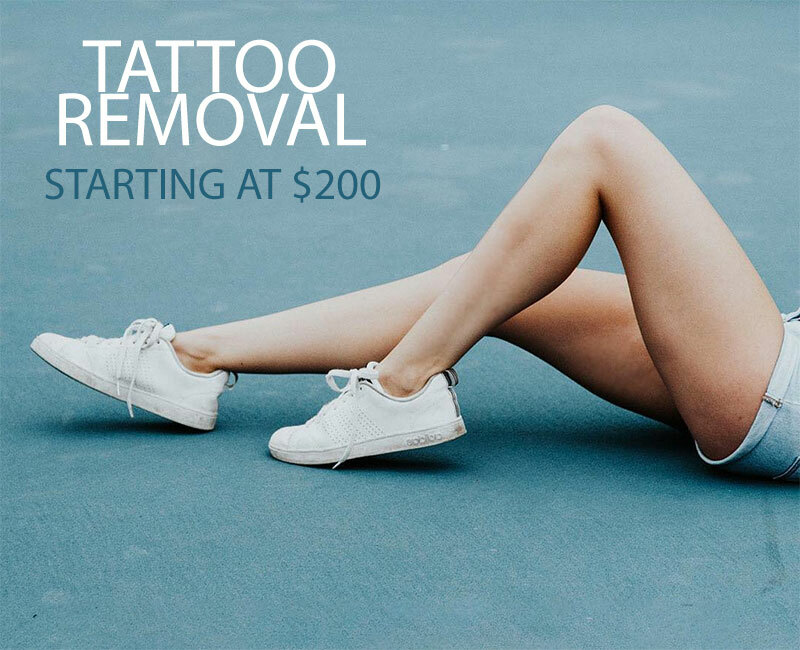 Treatments can scale from $150 to $850 for a session, depending on the tattoo being removed. The number of sessions can also vary, depending on the size, colors, and complexity of the tattoo, but it usually takes five to ten sessions. 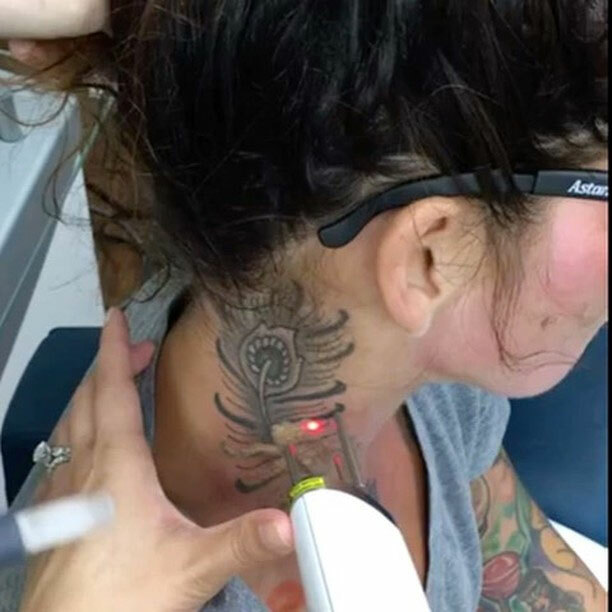 At the minimum, laser tattoo removal would cost $800, and it could go up to $10,000. This therapy is similar to laser tattoo removal. In the fact that the intense light is pulsed on the tattoo, breaking up the ink. That’s because it is probably the most expensive removal procedure, costing as much as $10 per pulse. The number of treatments also depends on the size and complexity of the tattoo, but in general, the costs can scale between $5,000 – $20,000. Excision could be less or more expensive than laser treatments. It all depends on the depth and the size of the tattoo. Usually, only one visit is required. Although if the tattoo is large, 2 or more visits might be necessary, and skin grafting may be required as well, which might run the costs way up. Price is too variable even to give an estimated figure here. “Sanding off” the tattoo is less expensive than laser tattoo removing. Each dermabrasion treatments can run from $100 to $500. At least three treatments are required to remove the tattoo so that it can sum up to $1,000 or less. This is method is out-fashioned, painful, and less recommended. The Most affordable tattoo removal option is the tattoo removal cream, also known as “tattoo fading.” These solutions cost around $100 or less for a one month supply. The results are shown after a few weeks, and the tattoo should be completely removed after 2-3 months. This is probably the most cost-effective solution for tattoo removal.